There is nothing quite like the feeling of purchasing a motorcycle. The anticipation of open roads and adventures can make even the most jaded old biker feel all warm and fuzzy. However, few things in life are as deflating as the realization that you bought the wrong bike. Your new ride does not have to be a lemon to become a disappointment. 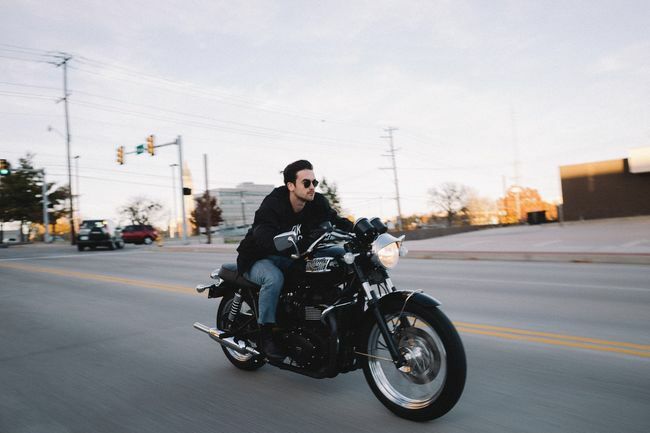 There are many factors that affect whether a used motorcycle is a good buy or not. 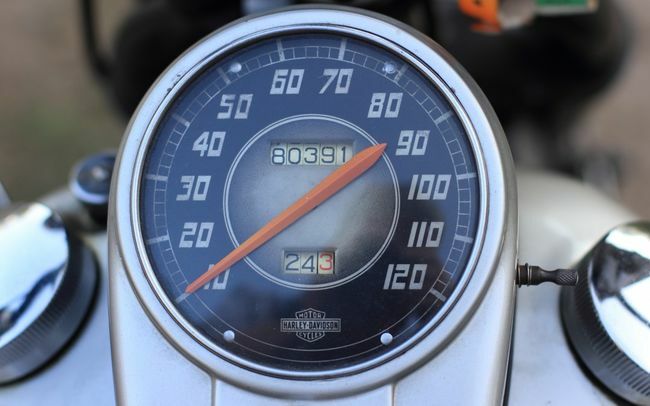 We’ll go over those issues as we take you step by step through your next used motorcycle purchase. If you begin your search by scanning a used-bike website, you are sure to find a deal that seems too good to be true. However, even if the bike is as clean as advertised, the odds are slim that said motorcycle will suit your needs. One of the most common mistakes new riders make is purchasing a bike simply because the price is right. It takes time and dedication to maintain a motorcycle, and those hours go by much more smoothly when you are proud of what you own. That pride only comes with owning a machine that answers your call whenever you need it. 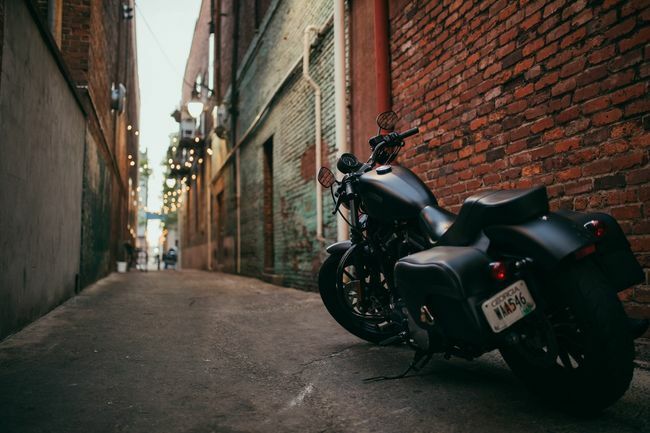 Modern street motorcycles fall into different classifications. Dirt bikes are designed for different types of riding. When you are honest about your needs, you can settle on a category that will address most if not all of them. Motorcycle models can develop quite devoted followings. Fans of these machines gather on internet forums to ask and answer questions about mechanical issues. Seek out these websites for the model you’ve selected, and search them for common mechanical issues. You’ll discover how often you can expect the model to require service and how difficult it is to perform that service. You may even find PDFs of repair manuals on these websites. Am I going to commute on this bike, and, if so, how far? Will I often carry more than a couple items on this machine? Will I be traveling for more than just day trips? Will this machine ever be used for track days? Will most of the riding be one-up (single rider) or two-up (with a passenger)? How experienced am I really, and how practised are my skills? Let your list be your own. It will help you whittle your options down to one or two types. From there, you can further isolate your best choices down to a few models. Do your research and look up service and performance specifications for each bike that interests you. Eliminate any bikes from consideration if they do not conform to your list. Remember, any consolations you make to style over your own needs will invariably come back to annoy you for as long as you keep this bike. Use the search function on parts websites to look for common replacement parts and check their availability and cost for the machine you are thinking of purchasing. Motorcycles less than 20 years old should have both OEM and aftermarket parts readily available, but not all of them do. Costs often depend on country of origin as well as production runs. If the model lasted only a year or two, you can bet that parts will be hard to find. Once you’ve reduced your options to a select few, begin looking for any one of them. Search locally to avoid expensive shipping fees. Look in your local classified ads and on websites such as CycleTrader.com. Also, check your local dealerships for trade-ins. You may pay more at a bike shop, but you can usually trust that the machine will be in tip-top condition. As you search, don’t be afraid to expand your model choices. If, for example, you find an ADV from a manufacturer other than your top choice, do not necessarily ignore it. If the bike addresses all of the needs on your list and the deal seems sweet, investigate. You just might find that your assumptions about that other brand were wrong. Just because a bike shares a class with your favorite selection, that doesn’t mean both bikes solve the same needs. For example, a KTM EXC500 is an elite dual-sport bike. It’s basically a motocross machine with lights. 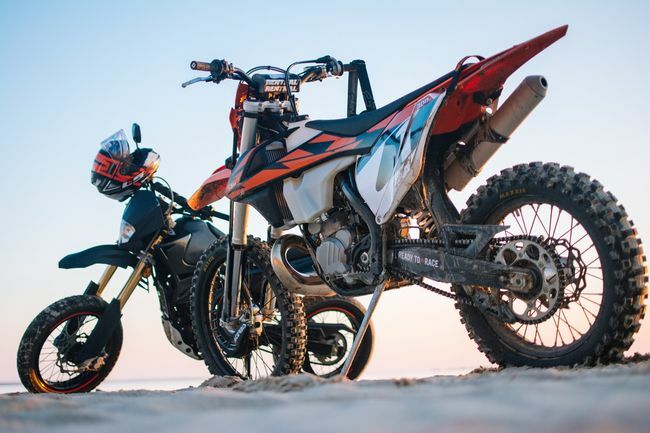 However, like a true motocross racer, the EXC has top-end service intervals that repeat several times before some its competing dual-sports need their first one. If you want a street-legal motocross bike, it’s hard to beat an EXC. If you’re commuting 30 miles one way, though, there are better options. That’s why you do your research. To an extent, you can assess the general condition of a used motorcycle through pictures and an honest description. Look out for motorcycles with obvious replacement parts and missing body work. Terms like street fighter are sometimes code for a wrecked motorcycle. Fairings and windscreens are expensive, and a few people will remove these parts to achieve a look, especially when many factory options are available that offer the same style. Terms like garage-kept, professionally maintained and low mileage indicate that a machine will command a premium price. These claims should all be backed by proof. Indoor storage will be evident (more on that in a moment). Professional maintenance claims should include corroborating paper work, and it is customary to include a picture of the odometer. Recently installed wear items are time and money savers. Look for things like new tires, new battery, new brake pads, fresh oil and renewed filters. A lack of any of these things is not necessarily a deal breaker, but the cost of the bike should reflect the need to replace these parts. At the very least, replacement of any of these items is a cause to haggle. Motorcycles are almost never as expensive as they are when they are new. Most models fall precipitously in value the moment they leave the dealership. In general, those prices continue to fall for about 20 years, at which point they tend to rise again for well-kept machines. In the US, only unpopular models or abused ones will fall far below the $3000 mark. Expect to pay at least this amount for a never-laid-down bike. The drop in value of a bike depends greatly on the segment to which it belongs. Cruisers, sport bikes and dual-sport bikes lose approximately 35 percent of their value in year one of ownership. Dirt bikes lose almost half their value in that same time. Those street bikes continue to lose value each year (in differing increments), with only cruisers retaining half their original value by their fifth year. 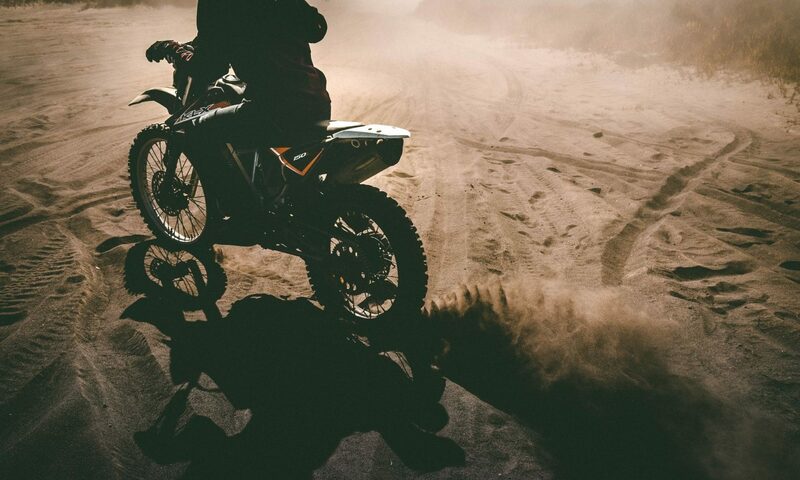 Sport and dual-sport bikes can retain better than 40 percent of their value in year five, but dirt bikes will be worth only one third of their original cost. These reductions in value reflect the way in which owners typically use these machines. Harder riding means a shorter lifespan for all moving parts, and off-road use is invariably rough on exposed parts. Ultimately, a bike is only worth what you are willing to pay for it. Websites like Kelley Blue Book and NADA Guides can help you get a general idea of what people tend to pay for certain machines. They are free to use, but they are not as reliable for motorcycle values as they are for cars and trucks. Insanely low prices should only accompany bikes that need tremendous overhauling. 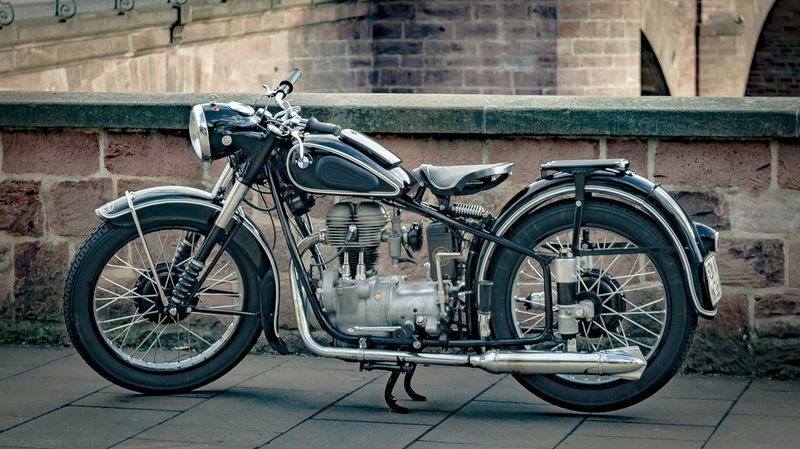 If an operational motorcycle is going for a project-bike price, alarm bells should sound in your head. Having realistic expectations can save you considerable money and headaches. If the seller refuses to meet you in your chosen location, or if you are still uncomfortable, pass on the bike. It’s better to miss out on a great deal than to risk getting into a bad situation. A seller may have more trouble moving a dirt bike to a public location than a street bike, but you should still keep to this rule. The right bike will appear eventually. Some local police stations have designated areas for used-vehicle transactions. A store parking lot is another suitable meetup place, but the safest by far is the one provided by police. If your local law enforcement provides this service, seriously consider taking advantage of it. The inspection process should begin with a walkaround. Inspect the bike as you would your own before any ride. Look for safety issues like under-inflated tires and loose body work. Check the oil and brake fluid levels. Both should be clean and neither should smell burnt. Oil that smells of fuel indicates a mechanical failure, likely worn piston rings. Turn on the ignition and crank the engine. It should start smoothly, without any harsh mechanical noises. If the bike has a temperature gauge, note the reading. The bike should warm up quickly, but it should never be hot. If it was already warm when you arrived, be wary. 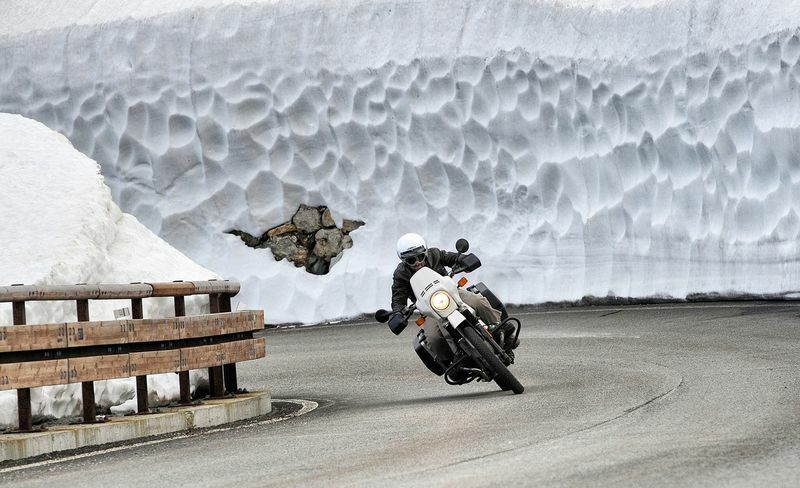 Some mechanical issues only present themselves when a bike is cold, which can make for hard starting. Rev the throttle, checking its operation for smoothness. The engine revolutions should rise steadily, without any abruptness. Close the throttle suddenly to ensure a quick fall back to idle. Once you are satisfied with the way the engine runs, shut off the ignition and go over everything again – only much more closely this time. If the bike was advertised as garage-kept, this is where you’ll find out how valid that statement was. Start with the tires. 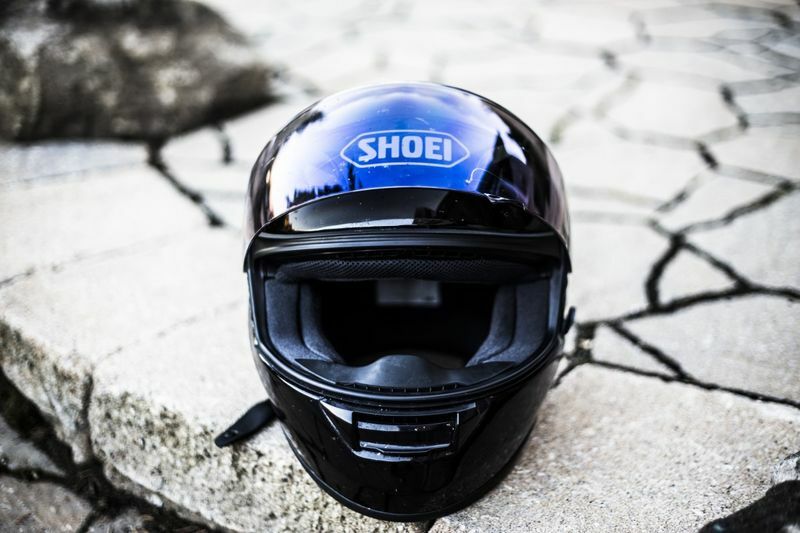 Inspect them for tread depth, then look at them closely for cracking and checking, which can indicate that the bike has sat idle for an extended time. Check the chain for rust, then check its tension. Roll the bike to inspect several points of the chain. Check the condition of the brake lines, then ensure that there is adequate brake pad remaining. There is normally an opening in the caliper that allows you to see the pads. Take a moment to inspect the condition of the forks and fork seals. A film of oil on the surface of the fork tube indicates a cracked seal. Small black specks that won’t wipe off the fork tubes are proof that the forks were neglected at some point. The chrome on fork tubes is very thin, and accumulated rust must be removed immediately. Once blisters form on the chrome, the spot becomes permanent. If the blisters are within the travel of the tube through the fork seal, they will cut the seal and cause a leak. Garage-kept bikes rarely ever have this problem, which can only be corrected with renewed fork tubes. Refusal to allow a test ride should not just give you pause, it should eliminate that bike from consideration. 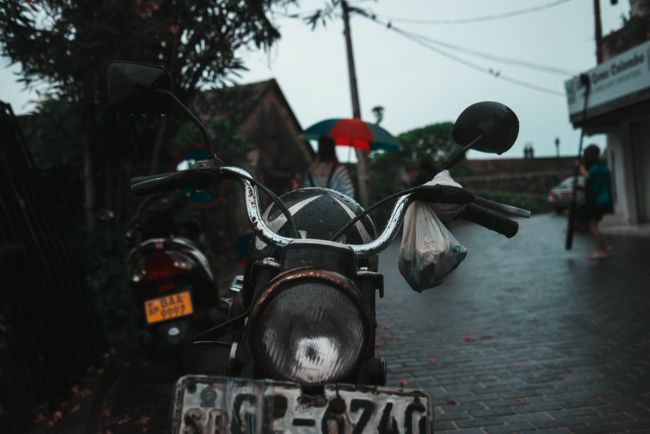 The seller will have the vehicle that brought you to the meeting location as well as your identification, so you won’t be hard to track down if you take off with the bike. Not allowing a test ride is an easy way to hide mechanical issues, some of which must be felt to be diagnosed. Some engine problems only become apparent when a bike is under a load. That said, we are not going racing. A slow and expert takeoff will let you get accustomed to the clutch, and it should ease the seller’s mind. As you go, shift early and often. Feel for a light click through the gear box. Take the machine up through all its gears and back down again. If you’re thinking this may be the bike you want, be sure to get up to highway speed. Pick up the RPMs and feel for any hiccups in acceleration. Examine the steering carefully. Be sure that the bike turns proportionally to the amount of input you make and that it tracks into curves properly. Also check for solid and noiseless brake operation. You should progressively feel more grab as you gradually squeeze the levers harder. Diving in the front end may indicate worn fork springs, while diving to one side is a sign of a blown fork seal. If you are satisfied with the bike’s condition, return to the meeting location. Avoid purchasing the bike if the seller will not allow you to reach highway speeds. A bent frame may only become apparent once the machine reaches a certain speed, which is often more than 50 mph. At whatever speed it occurs, the bent frame will cause a wobble, which only worsens as speeds increase. Eventually, tank slap will occur. 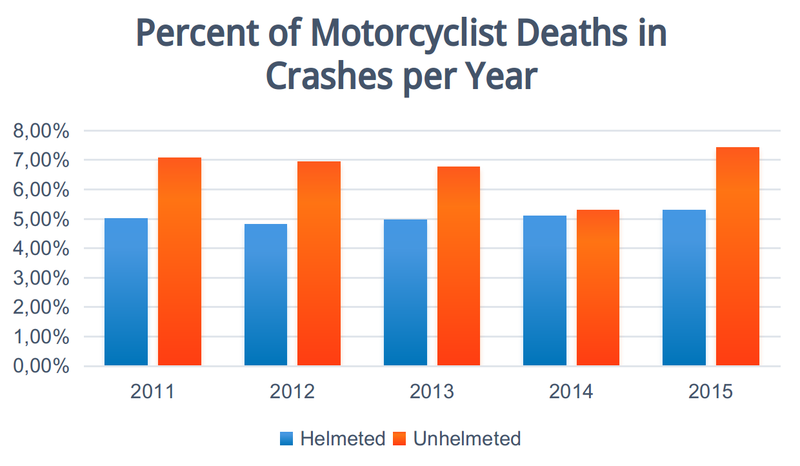 This is a deadly condition, and it is one that renders a motorcycle totaled. 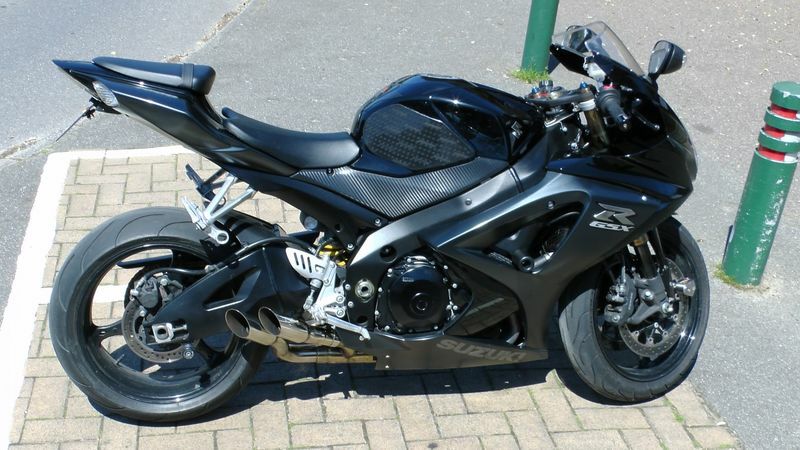 Only the most unscrupulous seller would try to pass off a bike like this to an unsuspecting buyer, but it happens. Park the bike once more and look around for any changes since you left. Look all around the engine specifically for oil that may have appeared. Allow the engine oil a few minutes to drain into the pan, then check it again. Its color and odor should be unchanged from before. Check all the controls one final time. Turn the handlebars all the way from left to right with the turn signals on, making certain that their rhythm doesn’t alter. Now that you’re satisfied, it’s time to talk cash. 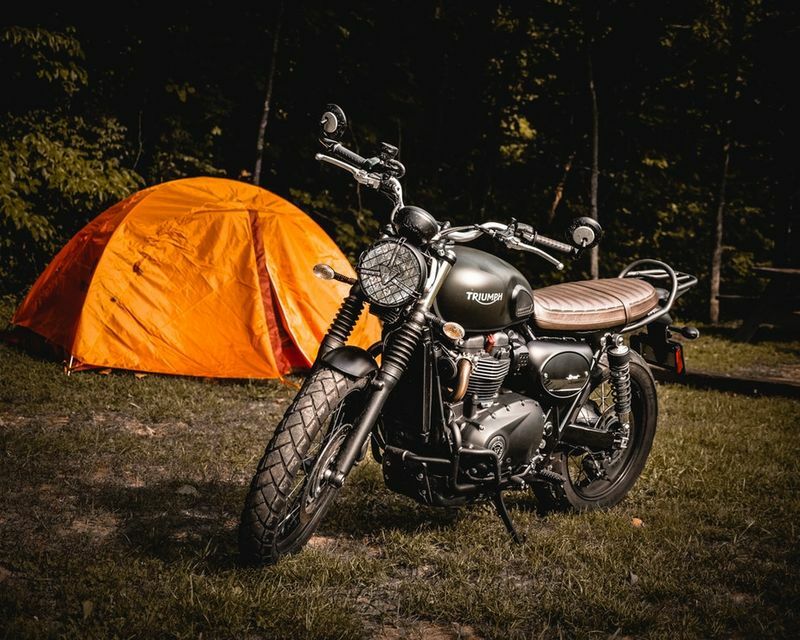 We’re not going to prescribe to you how you should go about discussing your finances, but you should make an honest assessment of the asking price and the motorcycle. If the price is at or near book value, you should expect reasonably low miles (less than 3000 miles per year of life), a track record of professional services, and lifetime indoor storage. A lack of any of those things, or the need to replace wear items, tells you it’s time to negotiate. To ensure a garage-kept bike has actually been kept in a garage, inspect a place on the machine that people rarely clean. For example, pop off the seat and inspect the area beneath. Look for a semi-exposed bit of frame and feel underneath it. Check your fingers for the telltale dirt and grime that only seems to accumulate outdoors. Also, look for any signs of rust on any exposed metal or insect nests. Those things won’t normally occur on a bike kept indoors. Know the laws in your state regarding vehicle sales. You should at the very least receive a bill of sale and a signed title. Most states require the sale documents to be notarized, but sometimes that responsibility falls only on the buyer. The seller will likely insist on cash, which is fine. Just be sure to make the transaction in a safe location. And do record your buying price honestly. Any money you save in taxes won’t be worth the fraud charge for fudging the selling price. If money is an issue and you wish to avoid paying for collision and comprehensive insurance, pay the bike off in cash immediately. Rather than save up the money, I prefer to take out a signature loan at my local bank. These loans usually cannot exceed $4000, so you will be limited on the bikes you can purchase. On the plus side, they are unsecured loans. With interest, the note is around $100 per month, and there is no insurance requirement. I have used this method to purchase several used motorcycles and to improve my credit simultaneously. Rip-offs and robberies are not common. 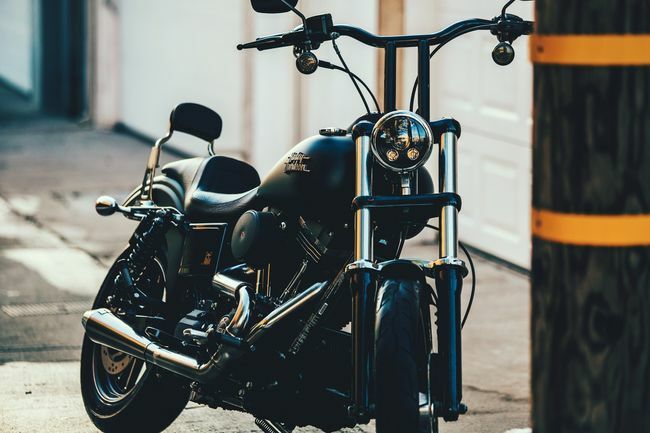 The real danger in buying a used motorcycle is usually more in the likelihood of developing buyer’s remorse, which typically results from buying the wrong bike. So, take as much care in the early stages of your purchase as you do in the actual inspection process. 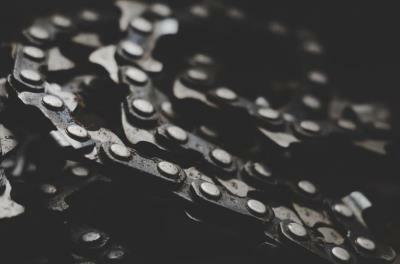 Be absolutely certain your target bike will be one that does the things you need your bike to do, and you will never regret having to remove road grime from her surfaces or make necessary repairs. My brother wants to buy a motorcycle that he can use going to work every day. It was explained here that it will be wise to research the bike that he wants to purchase and suit his needs. Moreover, it’s recommended to go to trusted auto dealers when planning to buy used motorcycles.